Mardel Maracyn® 2 powder is a broad-spectrum antibiotic (minocycline) developed for use in aquariums. Due to its unique properties, it is absorbed by the fish through the skin. 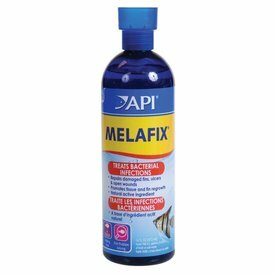 During the prescribed treatment, the concentration of minocycline in the fish fluids rises to a therapeutic level and is available to fight systemic infections susceptible to its action. It is primarily effective against gram-negative pathogenic organisms. Internal diseases are more difficult to detect than external ones and early detection is almost impossible. Symptoms of clamped fins, general listlessness, not eating or other unusual behavior can be caused by internal infections. All suspected bacterial infections should be treated immediately. Mardel Maracyn® 2 is non-toxic to invertebrates. First day: Add the contents of two packets per 10 gallons of water. Second through fifth day: Add one packet per 10 gallons of water. Repeat this five-day treatment once if needed. Cloudiness may occur while using Maracyn® 2. Important: Treat for five days even if visible signs disappear. 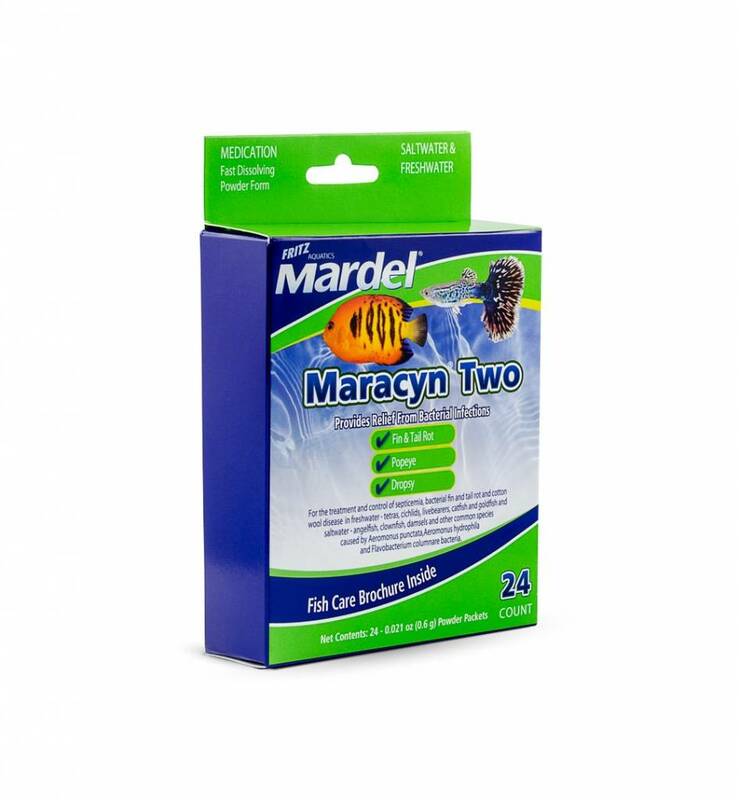 May be used concurrently with Coppersafe®, Maracyn® or Maracyn® Oxy. 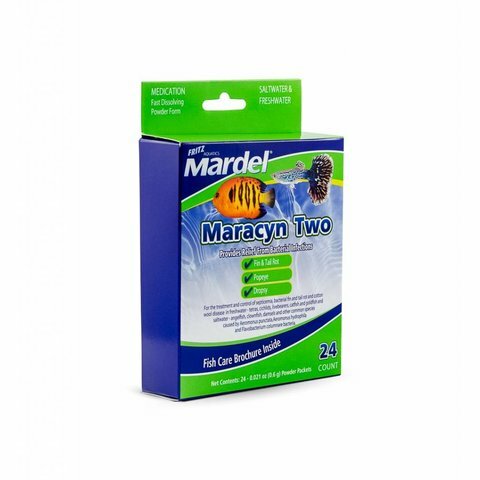 Maracyn® 2 will not harm invertebrates. Maracyn® 2 may cause excessive foam production in protein skimmers. Stop use of skimmer during treatment if excessive foaming is a concern.